absent from parts of the East.. 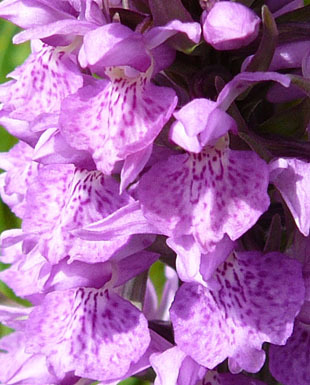 It grows in damp acidic meadows, heaths, moors and bogs. 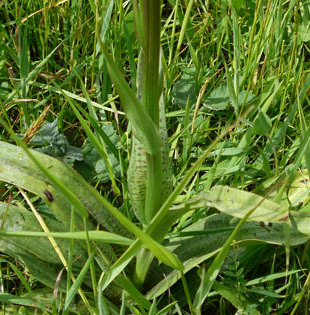 The flower spike is similar to that of Common Spotted-orchid. 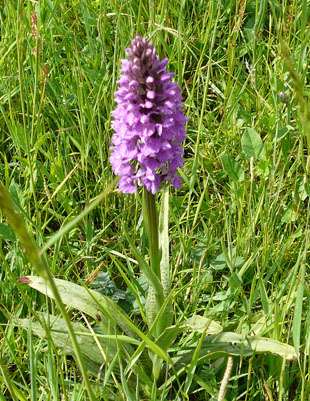 of the lower lip is smaller in the Heath Spotted-orchid. The lower leaves are oval with dark spots. Upper leaves are narrower and more pointed.